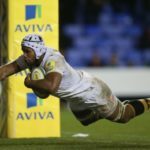 Nizaam Carr scored a crucial try as Wasps edged Bristol 29-22, while there were also wins for Saracens, Harlequins, Bath, Northampton and Gloucester in the English Premiership. Willie le Roux and Nizaam Carr both played a role in this try for Wasps against the Sale Sharks. 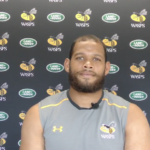 Nizaam Carr talks about being back at Wasps and the past Super Rugby season with the Stormers. 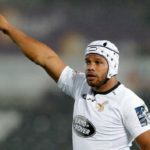 Wasps No 8 Nizaam Carr says he feels rejuvenated going into his second stint with the Coventry-based club in September. 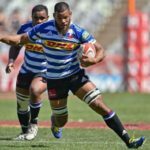 Stormers and Springbok loose forward Nizaam Carr will join English club Wasps on a permanent basis ahead of the 2018-19 season. 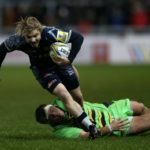 Faf de Klerk inspired Sale to a shock 18-15 win over Northampton, while Gloucester, Bath, Worcester, Wasps and Exeter were all victorious in round nine of the English Premiership. 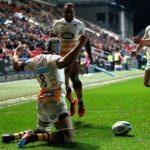 SARugbymag.co.za looks back at the past weekend’s Anglo-Welsh Cup matches, involving South African players. English club Wasps have confirmed the signing of Western Province star Nizaam Carr on a three-month contract.